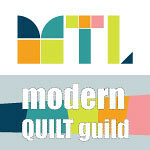 At the start of each quarter there will be a linky party for you to link up your proposed list of finishes. You must link up in order to be able to be eligible for those prizes at the end. Please only enter ONE blog post, Flickr photo or Instagram photo at this starting link-up. If you use Flickr or Instagram please describe your plan in the description. In order for your projects to be eligible, they must be a tangible project at the start of the quarter. That means, at the very least, a fabric pull matched to a pattern, a quilt top needs to be quilted, or a half knit jumper. I love seeing your bee blocks, but they won't count unless you happen to be turning them all into a fully completed quilt THIS quarter. We are looking for a proper UFO - UnFinished Object - which means it has to have been started. At the end of the quarter, link up each individual post/Flickr pic (please link back to your original list in some way). For each finish/link you complete, you get an entry into the draw, and therefore it's in your best interest to write up a separate post for each! A finish is defined as a completely finished project, eg a quilt, quilted and bound, a bag that's fully lined and functional, or a jumper that one could wear out in public. I'm happy for you if you get a quilt top completed in one quarter, but hold onto it for the next quarter and see if you can get it quilted and bound before entering please. You won't be punished if you don't finish your entire list, so feel free to make a big list and roll projects over from one quarter to the next if you need to. All qualifying finishes will be put into a prize draw, and the names/numbers drawn at random for each of the prizes donated by our sponsors for that quarter. 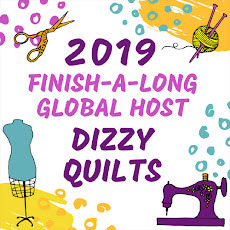 The finish linky party will be open for approximately a week, and then the next quarter will open on the following day.